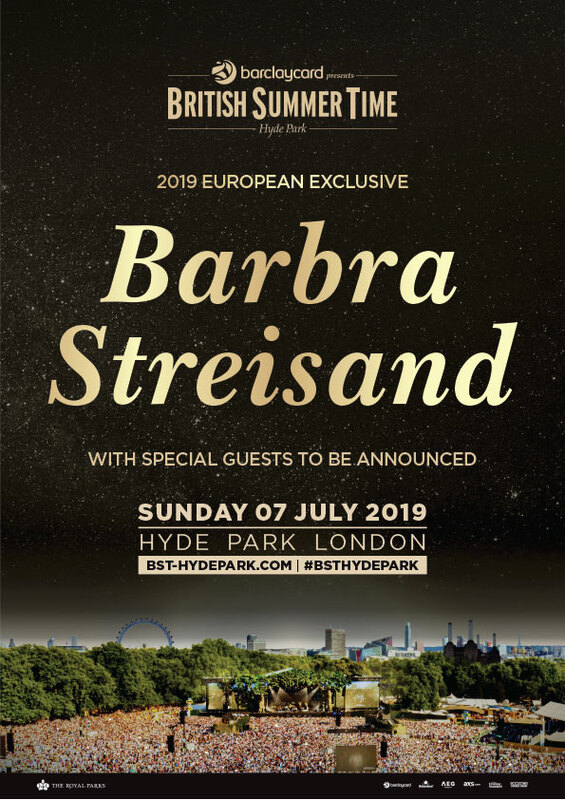 Barbra Streisand is the latest headliner announced for this summer's Barclaycard presents British Summer Time. The US singer will make her series debut on Sunday 7th July, bringing hits such as 'Guilty', 'Woman In Love' and 'The Way We Were' to the famous London park. Winner of 10 Grammy awards, Barbra Streisand joins Celine Dion, Florence + the Machine and Robbie Williams at the summer series. Tickets to Barbra Streisand's headline show are now on sale here.